MAKE IT “EARTH DAY” EVERYDAY IN YOUR COMMUNITY. 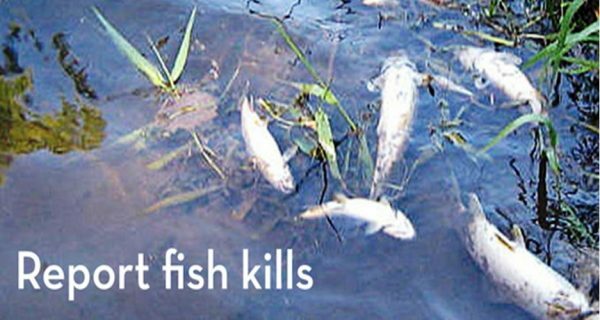 THERE’S NO ONE THAT BENEFITS MORE BY KEEPING POLLUTION OUT OF LOCAL WATERS. CONTACT YOUR WATERSHED OR COMMUNITY PUBLIC WORKS FOR OPPORTUNITIES. 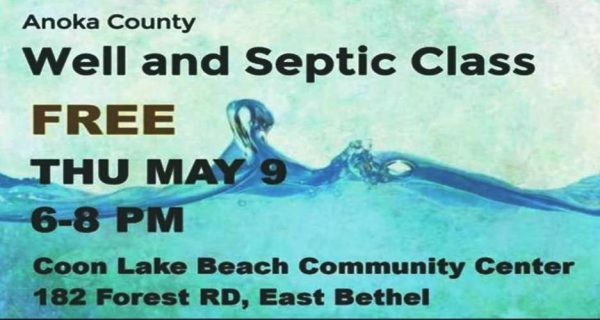 REGISTER AT www.bit.ly/well-and-septic-2019 TO ATTEND THIS CLASS ON MAINTAINING YOUR WELL AND SEPTIC FOR SAFE DRINKING WATER AND CLEAN LAKES AND GROUNDWATER. CHECK THE UPCOMING EVENTS CALENDAR FOR DETAILS. HOLDING ON TO STUFF YOU WANT TO FIX LIKE APPLIANCES, CLOTHING, ELECTRONICS, ETC? BRING IT TO THE FREE FIX-IT CLINIC AND GET THAT “DO IT YOURSELF” A BOOST. SOMETIMES A LITTLE HELP AND GETTING THE RIGHT TOOL IS ALL IT TAKES. AND YOU’RE REDUCING WASTE WHILE SAVING MONEY. 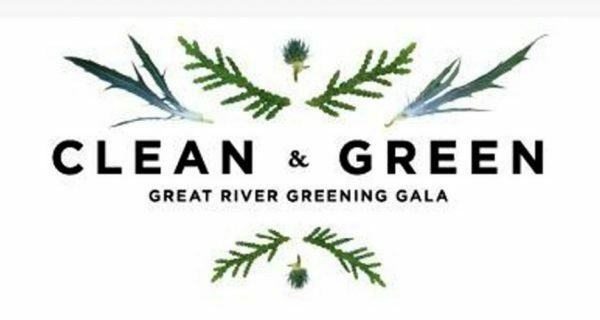 MAKE A SPLASH AT THE NATURE CONSERVANCY’S GREEN TIE AFFAIR. THE FEATURED SPEAKER, GIULIO BOCCALETTI CO-AUTHOR OF THE HISTORIC “CHARTING OUR WATER SECURITY” REPORT. ADDRESSING WATER SCARCITY THROUGH MULTILATERAL PUBIC-PRIVATE COOPERATION. CHECK THE UPCOMING EVENTS CALENDAR FOR DETAILS. The DNR is seeking public comments on the City of St. Francis variance to wild and scenic rules applied to Rum River, chapter 6105 . Allow development to be processed through City’s Planned Unit Development (PUD) process instead of the Planned Cluster Development (PCD) process allowed in rule. See Minn. R. 6106.0140, subp. 3. Variance to State Rules. The City has petitioned the DNR for the above-referenced variances pursuant to Minnesota Statutes, sections 14.055 and 14.056. The City’s petition requests that DNR grant “discretionary variances” to the above-referenced rules pursuant to Minnesota Statutes, section 14.055 subdivision 4. 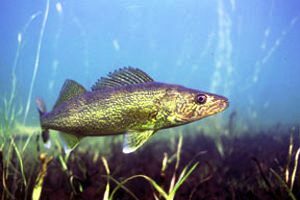 The DNR will review the application and consider all comments received in developing a decision. Email comments to Dan Petrik at daniel.petrik@state.mn.us . If you need documents in an alternate format, please contact Dan Petrik at daniel.petrik@state.mn.us. 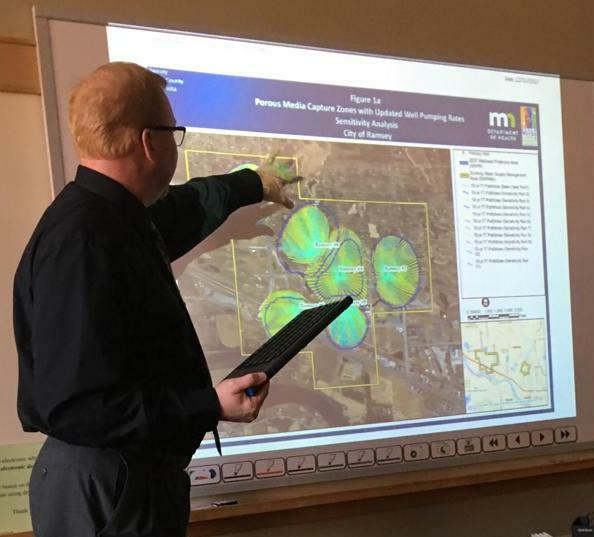 A Public Information Meeting was held at Ramsey City Hall (Tuesday, March 19, 2019, 5:30pm) where Part 1 of the amended Ramsey Wellhead Protection Plan was presented to the Public Works Committee. An assessment of the vulnerability of the wells and DWSMAs. A complete copy of the Part 1 plan amendment containing the technical information used to delineate the wellhead protection areas, drinking water supply management areas, and aquifer vulnerability of City wells is available at Ramsey City Hall. 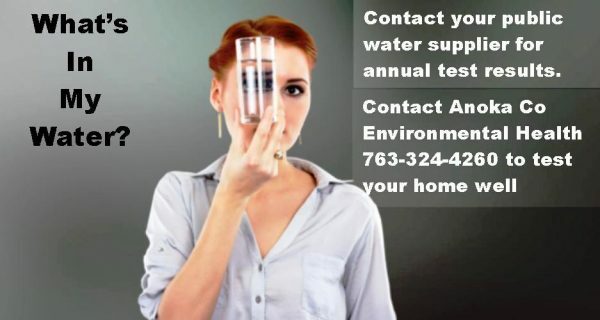 For more information contact Bruce Westby, Engineer, City of Ramsey at 763-433-9825. Bruce Westby, Ramsey City Engineer, describing well capture zones. UPDATE 3/15/2019: Record-setting spring flooding is possible across much of Minnesota. But state, local and federal officials are preparing now, cities are bracing for impact, residents should consider buying flood insurance, and everyone should have their fingers crossed for a slow snow melt. Those were the takeaways from Friday afternoon’s flood briefing hosted by HSEM. National Weather Service Meteorologist Dan Luna said officials are worried about major flooding across “the whole state.” He added that benign weather and a slow snow melt are key to lessening the threat. Govenor Tim Walz praised local officials for planning ahead and urged people not to rely on the weather to help ease any potential threat. Because you haven’t experienced a flood in the past, doesn’t mean you won’t in the future. Flood risk isn’t just based on history, it’s also based on a number of factors: rainfall, river-flow, topography, flood-control measures, and changes due to construction and development. Although many floods are caused by huge storms like hurricanes, more floods occur every day from small, localized events, such as a typical afternoon thunderstorm. No matter where you live, it is important to remember that just a few inches of water in a home can cause thousands of dollars of damage. 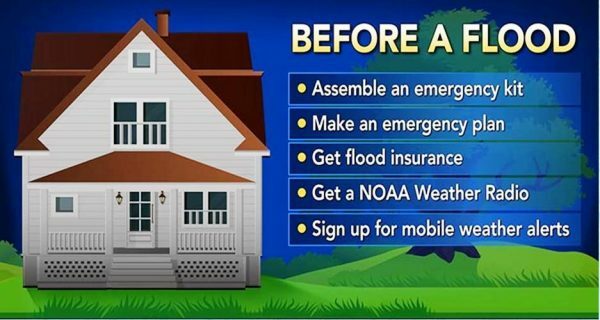 Determine your Flood Risk at FloodSmart.gov. Is your property in a high risk or moderate to low risk area? Knowing your flood profile will help you understand your risk of financial loss. Simply enter your property address to see your relative risk, find links to flood maps, and other flood insurance community resources. Flood maps determine your level of risk. You can also view current flood maps at FEMA’s Map Store. FEMA is producing new digitized flood maps for hundreds of communities. These new maps will reflect changes in floodplains caused by new development and natural forces. Being FloodSmart includes protecting your property before floods occur. Be sure that major appliances, electric switchboxes, outlets and heating equipment are well above potential flood levels. Install floating drain plugs and sewer system backflow valves to help prevent flood drain overflow. Have you noticed a river of rainwater running down your driveway into the gutter, ditch, or storm sewer? Collecting rain-soft water is a good way to conserve and reuse high quality water. 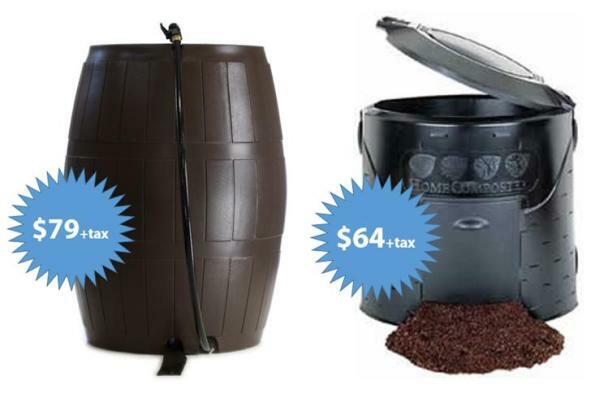 Rain barrels have been around for thousands of years. They also protect our local water while saving money on water bills and having a ready source of natural rainwater to nurture plants and gardens (instead of hard-chlorinated public water). For more information, please contact Mary at 651-641-4589 or email: ram@recycleminnesota.org. EDUCATORS: consider installing a rain barrel at your school as a practical tool to demonstrate the sustainable use of water resources outside the classroom window. 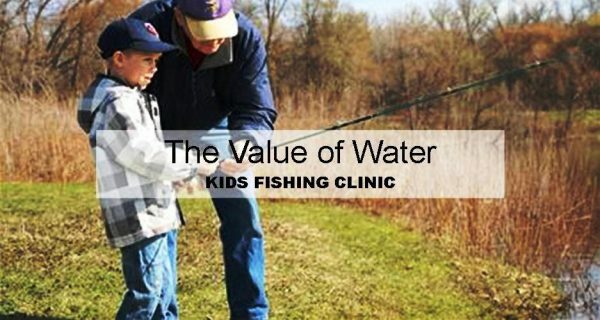 Contact your local watershed management organization or the Anoka Conservation District to learn about education grants that may be available. 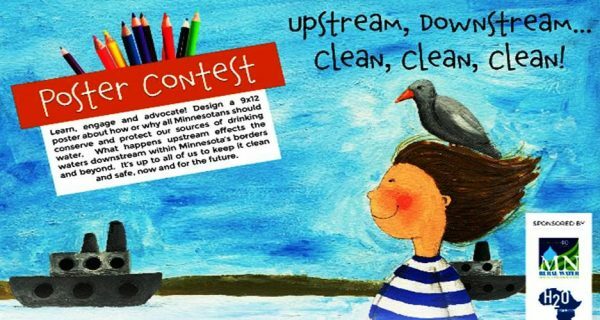 The STATE-FISH ART Contest is open worldwide to all children in grades K -12 in any public, private or home-school, any youth group, after-school program, youth camp, scout troop, art class, etc., or just an individual kid that wants to enter! Deadline to submit your entry is March 31st. Wildlife Forever’s STATE-FISH ART Contest is an exciting, multimedia conservation education program designed to increase awareness of and respect for aquatic resources creating stewardship. According to many septic system professionals, a winter of cold temperatures and little snow can cause freezing of onsite systems. Even in a normal Minnesota winter, freezing can occasionally be a problem. Identifying and correcting a potential freezing problem is far easier than dealing with a frozen system. Here are a few common causes of onsite system freeze‐ups. Lack of snow cover – snow acts as a insulating blanket over the septic system. Compacted snow – will not insulate as well as uncompacted snow. Lack of plant cover – this often occurs with the instillation of a new septic in fall. A vegetative cover (grass) insulates the system and hold snow. Irregular use of the system – When homes or cabins are unoccupied for long weekends no warm sewage is entering the system to help maintain temperatures above freezing. Leaking plumbing fixtures and furnace drips – the slow moving water can freeze in sewer empty pipes that freeze over time. Cold air entering the system – broken and uncapped riser pipes and manhole covers and allow cold air to enter the system. 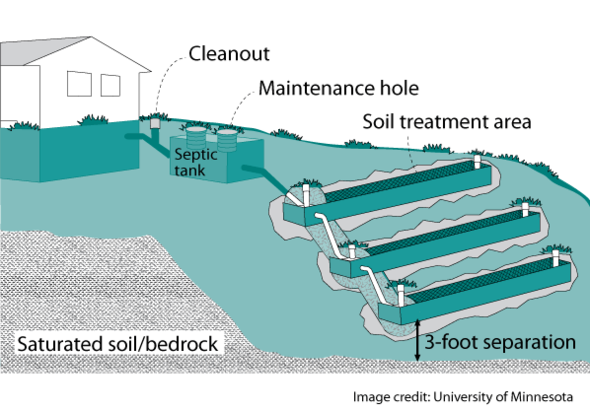 What should you do if you septic system freezes – Contact a septic system professional. Unless the cause of the freezing is corrected, the system will refreeze next cold winter day. There are many wrong ideas about how to address a frozen septic system: Do NOT add antifreeze, salt or septic additives. Do NOT pump sewage onto the ground surface. Do NOT start a fire over the system Do NOT run water continually to try to unfreeze the system. Do NOT add antifreeze, salt or septic additives. 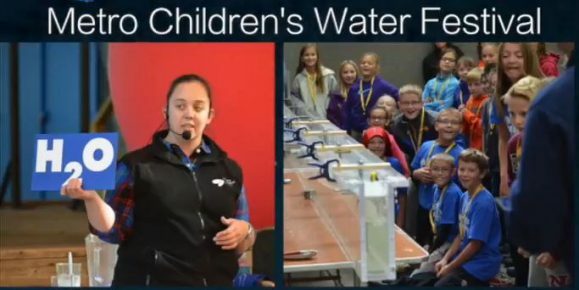 Do NOT run water continually to try to unfreeze the system. To learn what you can do to prevent your septic system from freezing see the University of Minnesota’s Freezing Problems & Septic Systems fact sheet.